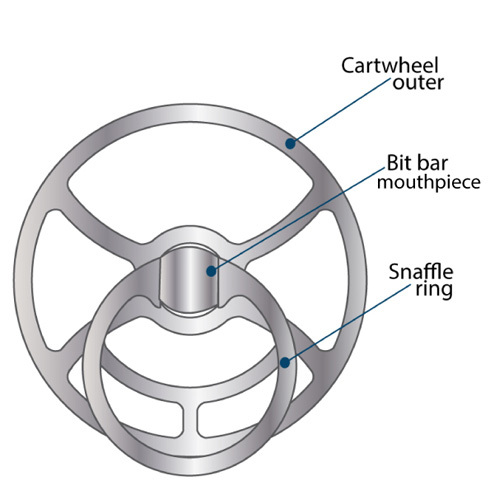 John Whitaker Universal Bit with Bullet mouth could be the only bit you need! For everyday riding and hacking set the reins and cheek pieces to the widest parts - if a little more control is needed simply move them around the cartwheel to find the level needed. For excitable horses or when competing or schooling the bit can be adjusted to create even more pressure. 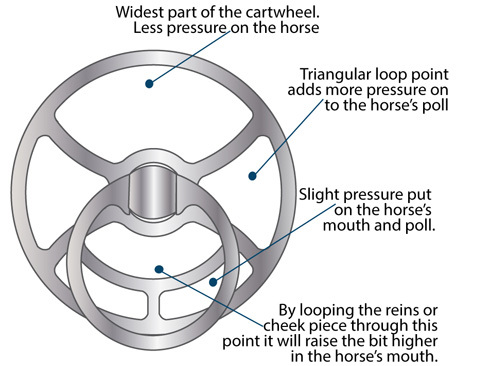 Each bit comes with detailed instructions on how to fit and what effect each settings have on the horse with regard to control and pressures created. There are six different ways to fit this bit ranging from a simple double jointed snaffle to a stronger gag effect. Made from stainless steel and available in 5" and 5.5" mouthpiece.